I know. Just stop. Breathe (deeply). Now let's collectively get over it. 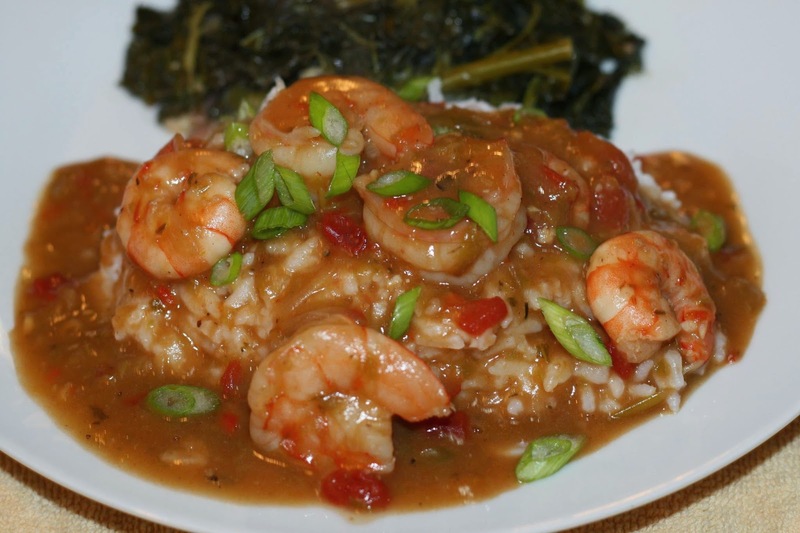 If you're familiar with Cajun cuisine then you know about roux. And if you know about roux, you know it's a sacred pillar of the cuisine, revered, and ALWAYS made with a mixture of copious amounts of butter and flour. The shrimp etouffee recipe above would typically call for no less than 1/2 cup of butter - let that sink in for a minute. Now let's focus our righteous indignation where it belongs. In a large pot or Dutch oven, over medium heat, add Baklouti Extra Virgin Olive Oil or extra virgin olive oil of your choice. Add the flour, stir it to combine well, and then babysit it. Continuously stir the flour to make a roux - this can take up to 10 minutes and needs your constant attention lest the flour burn. Stir the roux over medium heat until it reaches a deep caramel brown color. **Disclaimer - this recipe is designed to have a spicy kick. If you still want some of the taste of the Baklouti but desire something a bit more mild, go with 1/4 cup Baklouti and 1/4 cup extra virgin olive oil of your choice.